What are Harmful Algal Blooms - BlueGreen Water Technologies Ltd.
Cyanobacteria can be found in almost every terrestrial and aquatic habitat—oceans, fresh water, damp soil, temporarily moistened rocks in deserts, bare rock and soil, and even Antarctic rocks. They can occur as planktonic cells or form phototrophic biofilms. Aquatic cyanobacteria are known for their extensive and highly visible blooms that can form in both freshwater and marine environments. The blooms can have the appearance of blue-green paint or scum. They grow rapidly in favorable conditions, such as calm nutrient-rich fresh or marine waters in warm climates or during the late summer months in cooler parts of the world. Blooms of cyanobacteria tend to occur repeatedly in the same water, posing a risk of repeated exposure to some human populations. 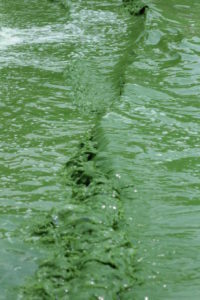 Cyanobacterial toxins in lakes, ponds and dugouts in various parts of the world have long been known to cause poisoning in animals and humans. 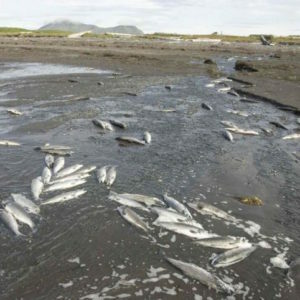 They may cause massive fish kills, contaminate seafood, and alter ecosystems. Although HABs occurred long before human activities began to transform coastal ecosystems, the impact of HABs has increased dramatically over the last few decades affecting water bodies all over the world . The harmful effects of HABs extend well beyond direct economic losses and impacts on human health. When HABs contaminate or destroy coastal resources, the livelihoods of local residents are threatened and the sustenance of human populations is compromised. Direct contact with and consumption of water contaminated with cyanobacteria may cause a series of health problems, including skin irritation, stomach cramps, vomiting, nausea, diarrhea, fever, sore throat, headache, muscle and joint pain, blisters of the mouth, and liver damage. Swimmers in water containing cyanobacterial toxins may suffer allergic reactions, such as asthma, eye irritation, rashes, and blisters around the mouth and nose. Mammals, birds and fish can also be poisoned by high levels of toxin-producing cyanobacteria. Five human syndrome are presently recognized to be caused by consumption of seafood contaminated with cyanobacteria toxins: amnesic shellfish poisoning, ciguatera fish poisoning, diarrhetic shellfish poisoning, neurotoxic shellfish poisoning and paralytic shellfish poisoning. Other threats to human health are posed by blue-green algal toxins in drinking water which may cause severe damage or be carcinogenic. Moreover, a growing number of studies indicate that cyanotoxins accumulate in fish and seafood and are transferred through the food chain. In other words, the risk of exposure to cyanotoxins is becoming a real health threat not only to humans and animals with direct contact with infected waters, but also to secondary users, feeding off animals living in such waters. This means that eating fish which were raised under bloom conditions directly exposes consumers to cyanotoxins, even if the fish is cooked first. In addition to the direct and immense damages caused to the flora and fauna by cyanobacterial blooms, a secondary heavy toll is burdened on the population living in proximity to infected water bodies. Such damages include the inability to use the water for consumption or recreation, as well as reduced lake property value. 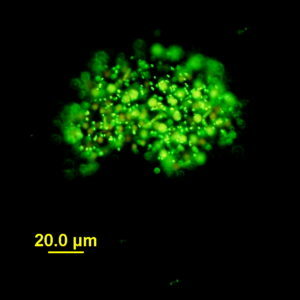 Cyanobacteria can also affect the taste of aquaculture products and its numbers. An article from 2009 (Dodds et al.) estimated the total annual damages caused to the US economy by HAbs at $2.2 billion dollars. A 2014 report by the European Commission estimated these damages in Spain, Italy and Greece alone to be as high as 300 million Euros per year. China has been spending billions of dollars every year to reverse the damages caused to its lakes by years of negligent pollution – so far with no result.